Giant changes coming for 1-7 Big Blue? 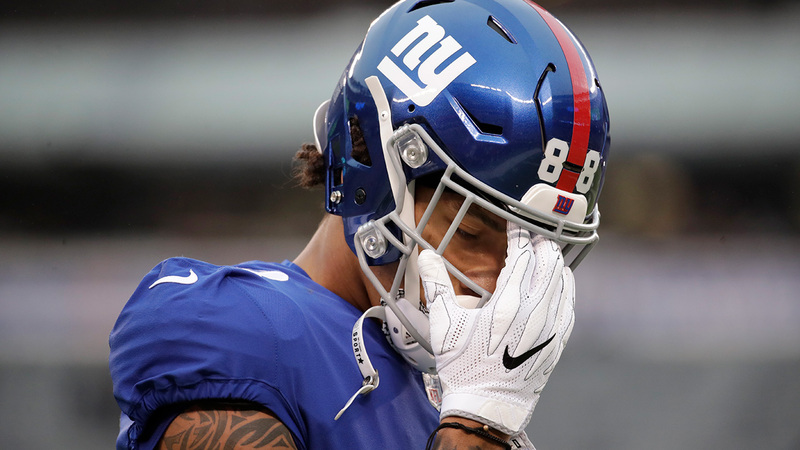 NEW YORK (WABC) -- Giants head coach Ben McAdoo said his team did not quit and is not embarrassed by the 51-17 pounding taken at the hands of the Los Angeles Rams in the Meadowlands Sunday. But even if we take the coach at his word that his team played hard, there is no excuse for the Giants to be less than mortified. The once-proud franchise sits at 1-7 and is now in a group with the Browns and Niners. Something has to give here. Owner John Mara has a loyal fan base to which he owes answers, and the first move he has to make is to fire general manager Jerry Reese. It's a no brainer, as the roster he has put together is not worthy of an NFL playoff caliber team. Reese never addressed the offensive line and never brought in a number one running back, and his draft picks have not made a major impact to keep the Giants moving forward. Granted, he has lost a good deal of talent to injury. But any NFL coach will tell you that it's next man up. However, McAdoo appears to have lost the pulse of the locker room. He's already had to suspend two of his defensive backs, and contrary to what he says, this team does not appear to be playing hard. Does McAdoo take the fall with Reese? That might depend on what happens in the next eight weeks. There's also the case of Eli Manning. He's been a great Giant, but his best days are past him. The Giants appear to like third round draft pick Davis Webb, but they won't know for sure until they let him see some action. Eli deserves to go out in style, so there is no reason to let his consecutive start streak come to an end. Big Blue can still let Eli start each game, but bring Webb in for at least a half to see what he can do. The Giants figure to have a top five draft pick, and they need to know if they should spend it on a quarterback. In any case, change needs to come to Giants football. Now it's a matter of seeing who will be in the firing line.